There is a site (possibly more than one, I don’t know) that claims to be the place on the Jordan where Jesus was baptized by John the Baptist. We visited that spot this morning. For me, I had a mixture of feelings. On the other hand, the area was so commercialized that it was fairly disgusting. You could buy a baptism robe, be baptized, and then buy the video of your experience. Jodi jokingly said, “It’s like Cedar Point.” Yep. She’s right. 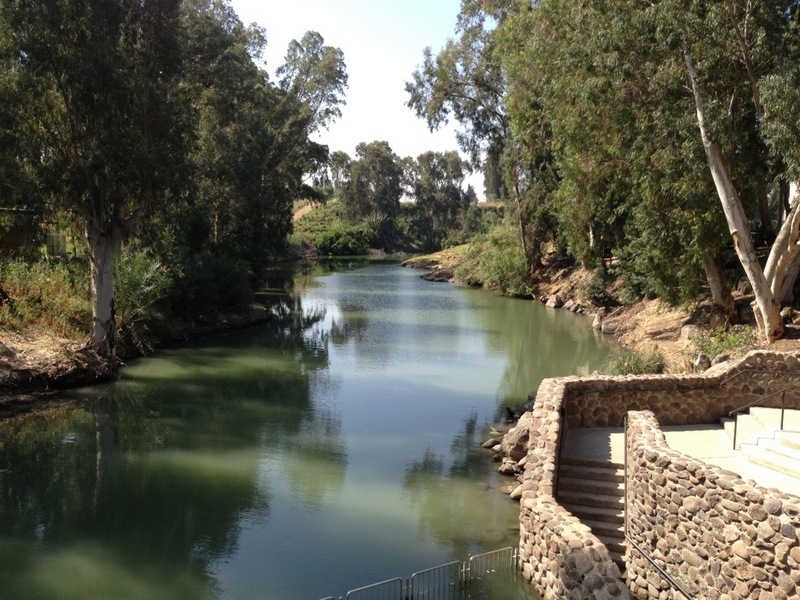 The other thing that stuck out to me was how narrow the Jordan river was. I always assumed it to be so much wider and more of a desert area. But that idea probably doesn’t make much sense since it is a RIVER… I guess it is safe to assume substantial vegetation near a river. Yet another of my previous ideas shattered by this trip to Israel.